Londolozi in Sabi Sand is one of the original pioneering Private Game Reserves within Sabi Sand Reserve ecotourism industry in South Africa. The root of the word Londolozi is the Zulu word for protect and means “protector of all living things” – an ambitious conservation ethic that Londolozi embraces in its sensitivity to the natural world. The reserve is internationally recognized for its far-sighted and progressive management of land and wildlife rehabilitation as well as productive community involvement. World renowned as one of Africa’s finest game lodges, Londolozi was the first game reserve in the world to be accorded Relais & Chateaux status, reinforcing its commitment to luxurious accommodation, fine cuisine and exceptional service. 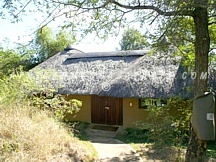 Below is a listing of Londolozi Kruger accommodations in South Africa. To view complete details on the accommodation, click on "Read More+" under each camp or lodge photo. 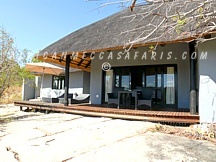 Londolozi Granite Camp offers three private suites. The Private Granite Suites offer an extraordinary experience for the exclusive use of six Guests. Bold, inspiring materials mirror the extrusion of granite rocks that flank the camp while conveying the raw essence of Africa. A palette of silver, charcoal and elephant grey in a range of sumptuous materials creates an elegant and contemporary setting in each expansive suite. 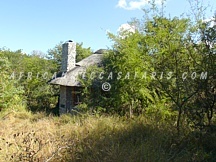 Londolozi Pioneer Camp has three private suites. A 500-year-old riverine forest throws dappled light on the three exclusive suites and provides a dramatic backdrop for the camp's celebration of the past. Guest suites are themed with historic memorabilia, telling a story of a bygone era and furnishing an environment of leisurely indulgence. It does not accommodate children under the age of 16 unless guests take exclusive use. 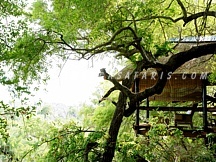 Londolozi Tree Camp offers 6 private suites. Tree Camp embodies the very essence of Londolozi's continuous striving to transcend and redefine the journey to the wilderness. This is a place of connoisseurship, leopards, orchids, lanterns and lead wood trees. Guests spend lazy afternoons on their decks, champagne in hand as they survey the ancient landscape, elephants feeding below in the river. 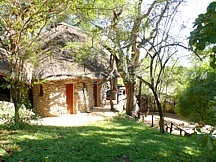 Londolozi Varty Camp offers 8 standard chalets and 2 superior chalets. The campfire has burned here for over 82 years making Varty Camp the symbolic heart and soul of Londolozi. The décor echoes the same tones of the owners private homes and their continuing love affair with the earth. All rooms have private swimming pools framed by timber decks that overlook the riverine bush.